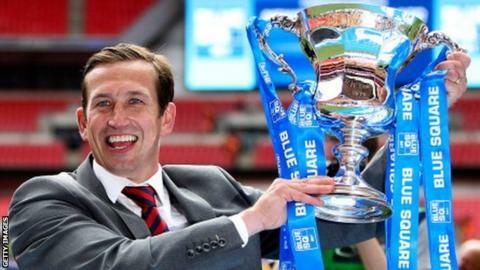 Former Newport County manager Justin Edinburgh has denied a change in his budget was behind his departure to Gillingham. Edinburgh sealed his switch to the League Once side on Saturday after a week of talks between the clubs. Chairman Les Scadding is planning to scale back his investment in County, which was believed to be a factor in Edinburgh's decision to leave. But Edinburgh said: "I was fully aware of everything at the football club." The former Tottenham full-back added: "I knew the financial situation, I knew the budget would have to be decreased this season, I was fully aware of that. "That had no bearing. The relationship I had with the board was first class and it will remain that way." Edinburgh also says he was aware of Euro Millions winner Scadding's desire to withdraw some of his backing to the club, but insists "progression" was the main factor behind his decision to move to the Priestfield Stadium. He said: "Once I'd been given permission to speak to Gillingham, once I'd spoken to the chairman and once I'd been shown behind the scenes and had an in depth look at the squad; they're the big decisions for me." Edinburgh's former assistant Jimmy Dack is in caretaker charge at Rodney Parade, until the end of the season, "unless told otherwise." But Edinburgh has revealed that Dack, who is being assisted by Wayne Hatswell, could join him at Gillingham in the summer. He said: "I sat down with [club director] Howard [Greenhaf] and I wanted to make the transition as smooth as possible. "If that meant I left Jimmy there for the time being then that was going to be the case. "We will have further discussions at the end of the season. "What people know is that Jimmy is there and Jimmy will do a good job."